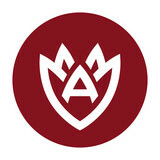 Founded by Austin Fanning, AUSTIN FANNING GENERAL CONTRACTORS LLC is a fully licensed and insured Home Improvement Contractor in the State of New Jersey that specializes in Kitchen, Bathroom, and Basement Renovations as well as Home Additions, Custom Built-In Cabinetry, Window Installation and Natural Disaster Repairs. AFGC LLC’s mission has always been to consistently fulfill the needs of our clients by first listening to their needs, then providing superior quality and workmanship that will essentially increase the value of any home or business. We strive to offer the best selection of products, a high level of professionalism, attention to detail, excellence, integrity, and talent. I work with a variety of wood species and man-made materials. The most interesting challenge when designing and building furniture is finding a shape, material, and scale to fit a given space. I love working with clients to make things that solve problems and look beautiful. 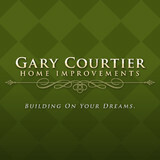 At Gary Courtier Home Improvements, we've been building, renovating and extending homes since 1993. In that time, we've learned many things, but one fact stands above all: a delighted homeowner is the foundation of our business. Customer satisfaction is the most important thing we build. From designers and architects to framers and finishers, we have all it takes to make your dreams come true. We respect the integrity of every project as if it were our own home. Z&B Fine Euro Construction LLC. is licensed and insured company based in North Jessey that offers residential and commercial construction and repair services. Managing member Zoran Banic oversees all projects. That way all costumers receive highest quality workmanship. We are a small family oriented business who caters to homeowners and every aspect of their homes. we pride ourselves on being professional, prompt and very friendly and easy to work with. If I David Grecco don't personally answer the phone when you call I Pride myself on returning my calls very promptly and showing up for my appointments on time. We have been in the remodeling industry in business for 19 years and Love what we do. Ernest J. Genovese & Son Llc. The expert carpenters at BW Carpentry, Inc. provide superior remodeling service to Dutchess, Putnam, and Westchester Counties. 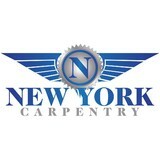 We believe in a simple philosophy to bring you the best quality work possible — we only use the highest quality materials, completed with only the highest quality craftsmanship, as delivered by our honest, respectful, loyal carpenters. Our family owned and operated company is ready to complete any Hudson Valley remodeling. Our Services provided are Hudson Valley remodeling, remodeling contractor, kitchen contractor, bathroom contractor, kitchen remodeling, bathroom remodeling, room additions, siding, roofing, deck building, deck builder, home remodeling, kitchen renovation, bathroom renovation, general contractor, home improvement. No project is too complicated or difficult for Artistic Wood Crafts. 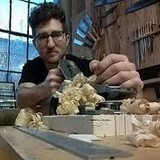 Located at the Brooklyn Navy Yard, the two partners of Artistic Wood Crafts have worked in all five boroughs in New York City and in New Jersey. Combined they have 36 years of experience as craftsmen and are known for their attention to details. They specialize in custom wood projects and restoration of all types including custom molding, restoration of front doors or front doors build to your specifications, custom cabinetry including kitchen cabinets, wall units and other built-ins. 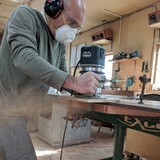 This team of expert woodworkers has even built custom made furniture and specializes in antique furniture repair and refinishing. We provide full service to all areas of construction, and I personally am involved in every job, start to finish. I am set up to accommodate ALL construction projects to the finest built-ins.